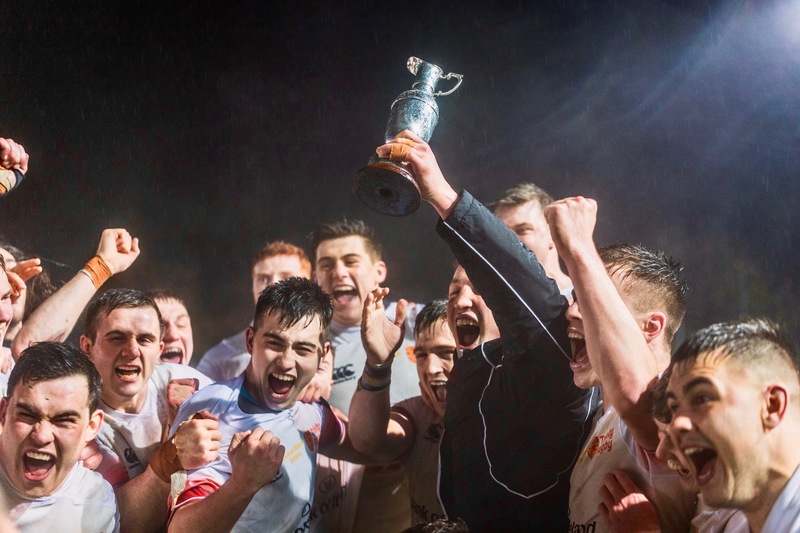 Snow began to fall soon after the final whistle, but for Dublin University Football Club (DUFC) Women, it hardly mattered. 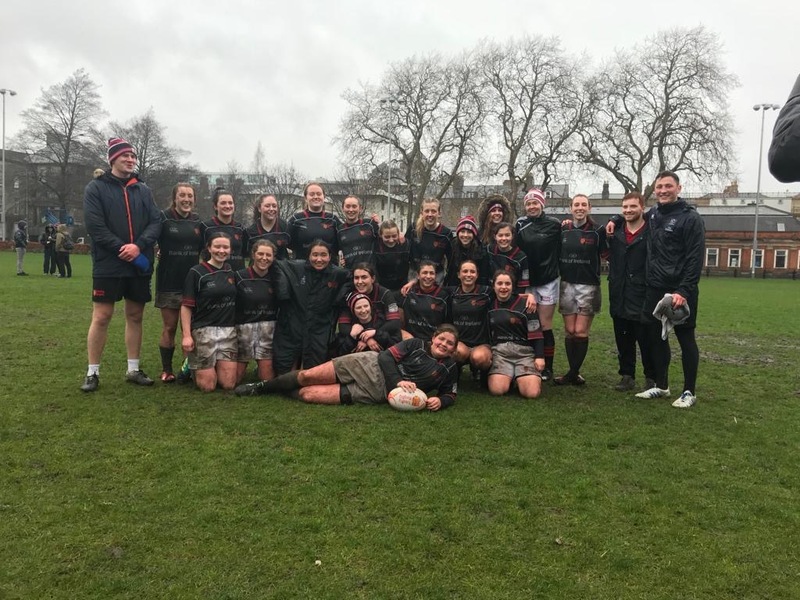 In extremely adverse weather conditions, they booked their place in the final of the Leinster League with a gritty 19-10 win over Port Dara Falcons, putting themselves on the cusp of a truly exceptional achievement. The transformation in DUFC’s fortunes this year has been little short of stunning. Last season, it took a superb final-day victory over Wexford Wanderers to secure survival in Division 3 of the Leinster League. Twelve months and one week later, they stand on the brink of a spectacular promotion after what has been an excellent season. 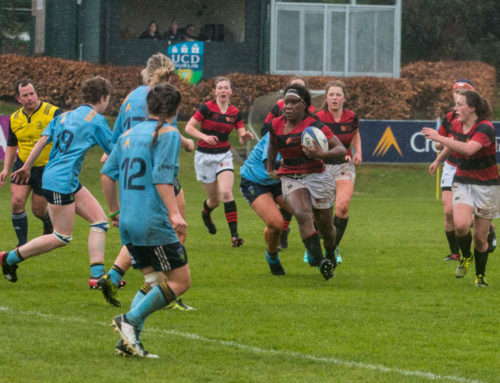 On Sunday, they started with verve, winger Áine Castles scoring an early try and nudging them in front of a lively Port Dara side. The conversion was deftly slotted over by out-half Honor MacNamara. But Port Dara have also enjoyed a positive campaign this season and reacted well to the setback, setting up camp in Trinity’s half. 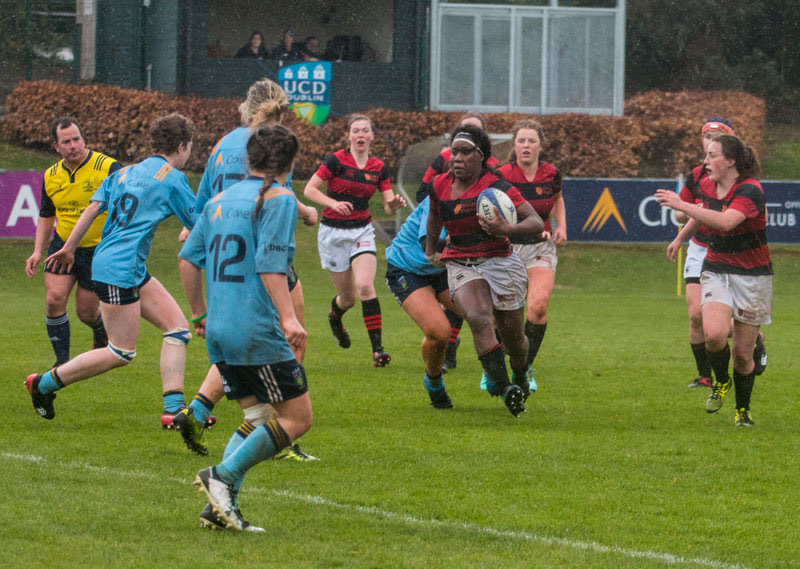 After sustained pressure, during which gaps began to appear in DUFC’s defensive line, Hannah Quirke finally slipped over in the corner off a scrum. Hannah Mulcahy’s conversion listed wide, but the visitors’ tails were up, and it wasn’t too long before they crashed over for a second try, Quirke again touching down after impressively quick hands on a slippy ball. 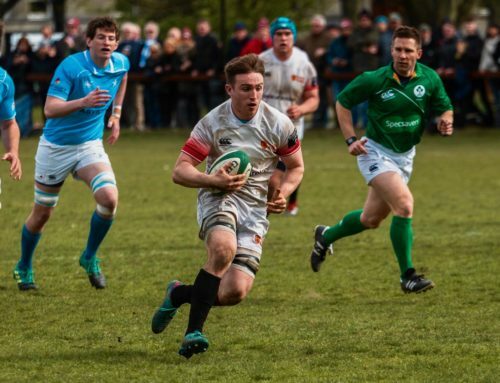 Mulcahy’s conversion drifted past the posts once again, but Port Dara were playing with a simplicity and energy that Trinity were struggling to match. 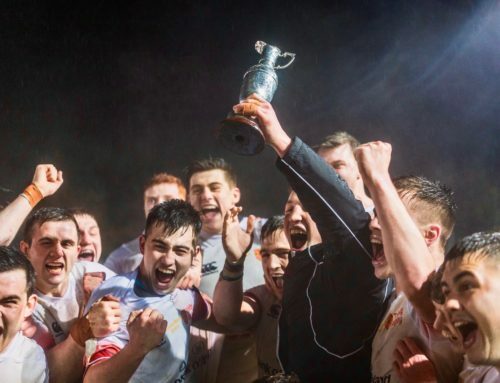 The conditions didn’t make things easy for a DUFC side who always look to play running rugby. As the rain continued to bucket down, both sides struggled to keep their hands on the ball and the game started to lose some momentum. It looked like the half would peter out but McNamara showed her mettle for Trinity, showing excellent footballing ability to get her foot to a loose ball and measure a kick that bobbled into the tryline. First to it, MacNamara gleefully dived on the ball to put DUFC in front once again going into half-time. This was the catalyst. 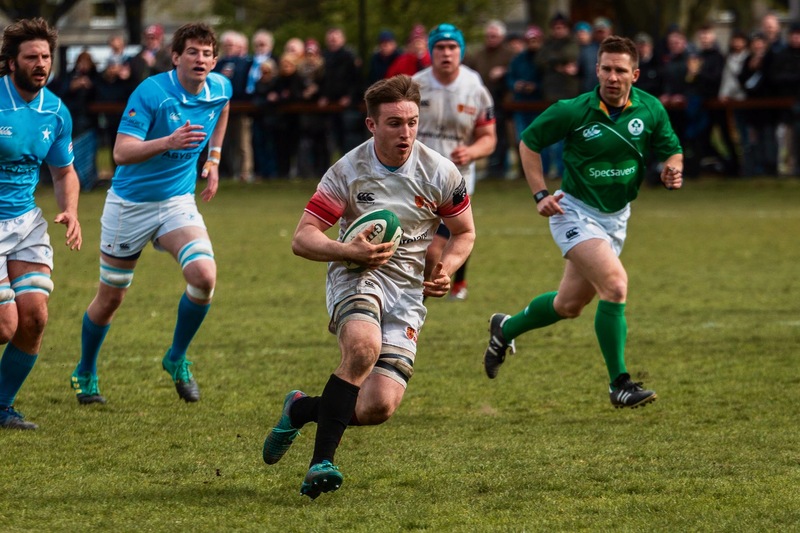 Despite a slow opening 10 minutes of the second half, DUFC did not waste too much time before reasserting the dominance they had enjoyed at the afternoon’s outset, pitching up in the Falcons’ 22 and showing no sign of moving backwards. Port Dara seemed increasingly tired as Trinity battered their defence. The Falcons fought bravely to keep Trinity out and there was a degree of frustration on the sideline as the hosts coughed up opportunity after opportunity. 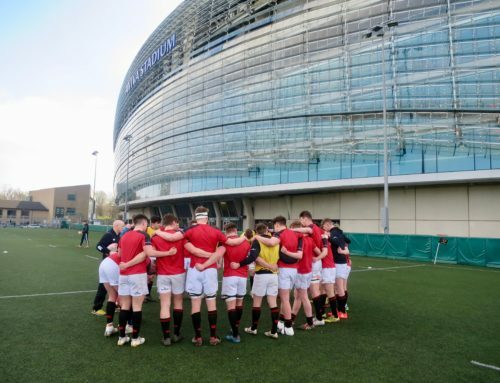 But it felt only a matter of time before Trinity got what they were after, and when Genevieve Ruesch dived over the whitewash off of a ruck, MacNamara nailed the conversion to put nine points between the teams. The rhythm of the game stuttered somewhat after this, with a stream of scrums and penalties slowing Trinity’s momentum. Nevertheless, DUFC kept up the pressure, cleverly playing territory as the clock wound towards 80 minutes. A great kick from MacNamara pinned Port Dara back into their 22 for the last few moments of the game, guaranteeing DUFC a win and a coveted spot in the Leinster League final on March 23rd.